Din l-Art Ħelwa is being entrusted by the government with the management, care and conservation of Wied iż-Żurrieq Tower. The Guardianship Deed will be for a period of 10 years. 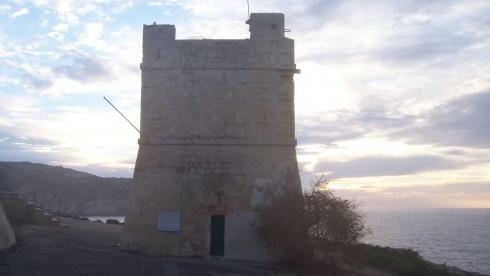 The heritage organisation already manages several historic sites in guardianship such as the Red Tower in Mellieħa. It will be raising funds for the restoration of the tower which is located on the coast, facing Filfla. The organisation hopes to open the tower to the public as from the second year from commencement of restoration and as soon as it is rendered safe for public access. Wied iż-Żurrieq tower was built at the time of Grand Master Jean Paul Lascaris de Castellar (between 1635 and 1657). It was possibly the last tower to be built under this Grand Master. It still has an original Knights period cannon on its roof. It served as a coastal look-out post right up till the late nineteenth century. Until 2002 the tower served as a police station. Culture Minister Mario de Marco said that Guardianship deeds were increasingly becoming important tools, combining the initiative of government with that of the voluntary sector to attract new investment.